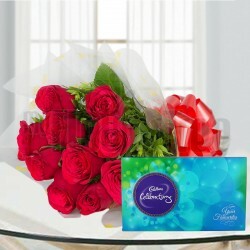 Select our perfect combo of appetizing cakes and beautiful flowers and send them to all remote city areas. We connect everywhere and assure that your combo reaches on selected time and date. 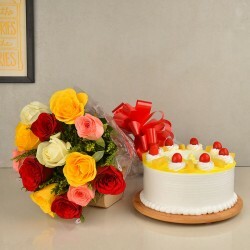 You can order completely delicious cakes along with beautiful and gorgeous flowers. 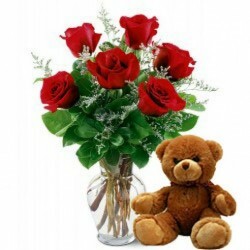 We send completely amazing gift items to all remote city areas. Our gifts includes cakes and flowers combo. 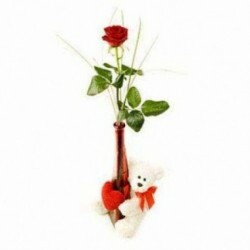 You can pick the best as per your need like soft and creamy combo of flowers, amazing hot pink combo, perfect combo of flowers cake and teddy bear, flowers, cake, chocolates and flowers combo, one stem with teddy combo, splendid combo with rose flowers and teddy bear, red roses and dairy milk silk combo, etc. We give same day delivery, fixed time delivery, mid-morning delivery and mid night delivery services conveniently. We never let our customers get disappointed. We assure them with the fastest delivery in small and remote city areas too. Our team perfectly handles all delivery services. 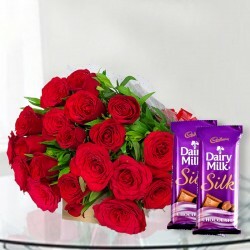 Our flowers are garden fresh and naturally fragranced, you can send combo of cakes and flowers to remote areas as a surprise to amaze your dear ones.